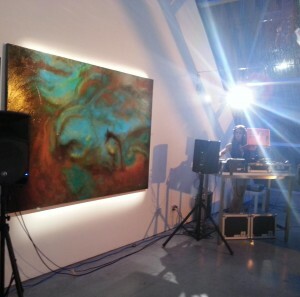 Events, Pictures → Sakai Paintings in Art Show by Ioulia Reynolds of RHOV! 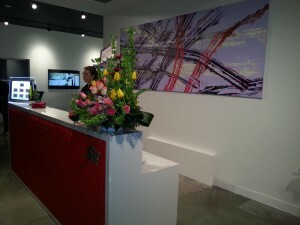 On Tuesday, April 9th, Ioulia Reynolds of RHOV had her art show ‘Antithesis of Digital Sickness’ for her Creative Art Management company. 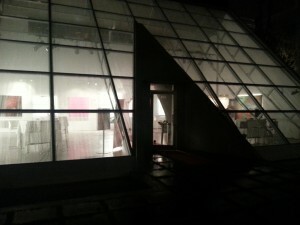 It was at the beautiful Waterfall Building, and three of my paintings were part of the show. 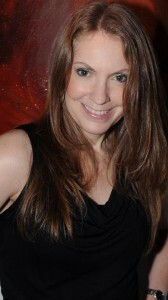 The final episode of Real Housewives of Vancouver was also aired at the event. 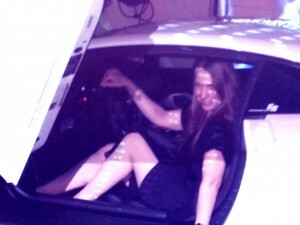 It was such a fun night, and below is a selection of photos. On Thursday, February 14th, I participated in a special event put on by Luvngrace Entertainment & Hennessy Cognac at the Waterfall Building! 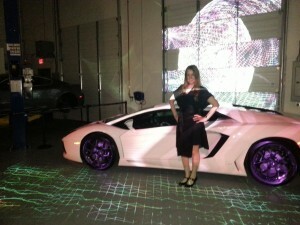 There was plenty of fashion, live music, fancy cupcakes by Lyttle Bake Shop, Hennessy Cognac cocktails, and of course, art! Sakai paintings ‘The Dream’ and ‘Enlightened’ installed at the Waterfall Building. 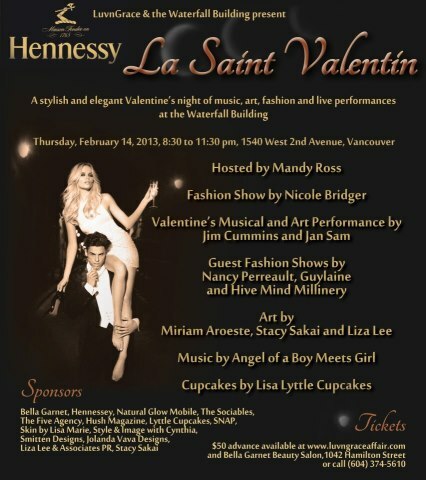 On February 14th, I will be exhibiting select paintings at the LA SAINT VALENTIN event, presented by Luvngrace, Hennessy Cognac, and the Waterfall Building. 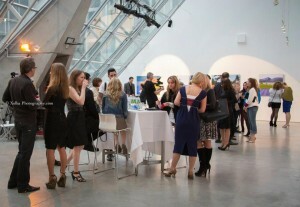 It’s going to be a beautiful evening of fashion and art! & at Bella Garnet Beauty Salon-1042 Hamilton Street, Yaletown, Vancouver BC. 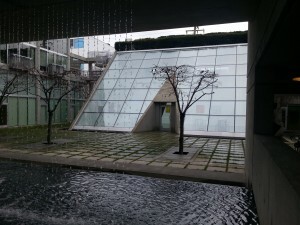 The Waterfall Building was designed in 1996 by the legendary Arthur Erickson. 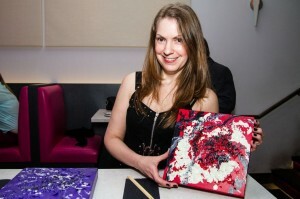 I was invited to display food related paintings at a special event for Dine Out Vancouver at Pink Elephant Thai. None of my existing paintings were food related, so I decided to create new pieces. After a lot of contemplation on what to do, I chose to mix eggshells and rice into the paint rather than paint food as a subject matter. 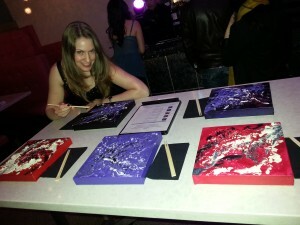 At Pink Elephant Thai restaurant, I displayed the paintings like dinner settings with black napkins and chopsticks. It was a fun night, with music by DJ Jeremy Slattery, and live painting by Bill Higginson and Olga Rybalko, as well as great food! Below are photos, courtesy of Norm Lee Photography. Stacy Sakai with the Eggshells on Rice paintings at Pink Elephant Thai restaurant. 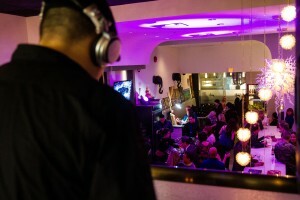 DJ on the upper level, with the Dine Out guests below. 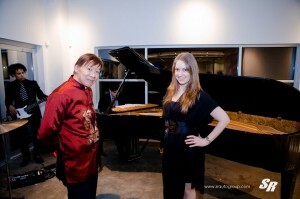 Today, I was interviewed and filmed in my studio for Shaw TV’s “Go! Vancouver” show! It’ll be a short piece, and it was so much fun filming it! I discuss different paintings and projects I’ve worked on, including my Eggshells on Rice paintings for Dine Out Vancouver! It will air at the end of January. I will post more details once the date is confirmed. Stay tuned! 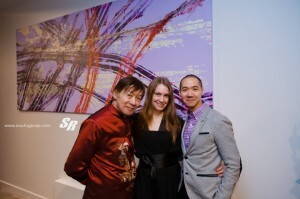 Events → Stacy Sakai Exhibiting at a Special Event for Dine Out Vancouver! I have created a new series of paintings specifically for the Dine Out Vancouver event! These abstract paintings are mixed media, with acrylic paint, rice, and eggshells. They will be on display at a special Dine Out Vancouver evening put on by Frances Hui of FHS Events, at the Pink Elephant Thai restaurant on January 22, 2013. Please see the Dine Out Vancouver website for tickets, and additional information. 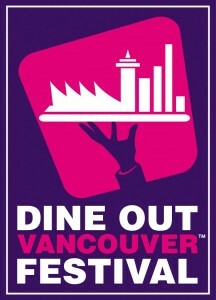 Dine Out Vancouver – January 18th to February 3rd, 2013! 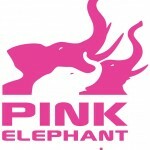 Pink Elephant Thai on Alberni, Vancouver BC. It’s such an honour to be part of the Light of Hope event at Inner Evolution Healing Centre, in Vancouver BC. This is a charitable event in support of orphaned girls in India. A selection of my paintings is currently hanging at Inner Evolution, and I will be donating 50% of any sales to the Light of Hope charity. For more information, please see this article in Darpan Magazine! 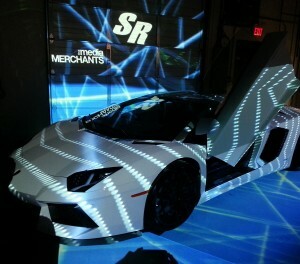 Events → An exciting collaboration with SR Autogroup! 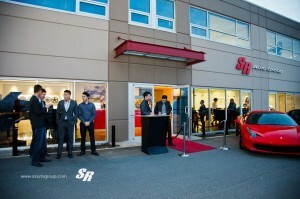 SR Autogroup is opening a luxurious, new head office, and we have a special collaboration in the works! 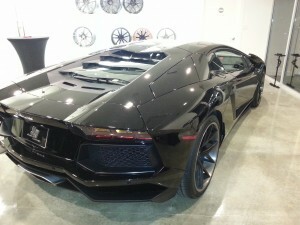 A sneak preview can be seen on the SR Autogroup website.